Han Zaw is a project assistant for NDI’s Citizen Participation Team. He completed his Bachelor’s degree in Political Science from Kenyon College in the Spring of 2016. Each week NDI’s Citizen Participation team provides a resource to assist NDI staff in meeting the objectives of their programs. The past month’s resources discussed the need to better understand the thinking and working politically (TWP) framework in development programming, described the importance of integrating politics into development efforts to improve service delivery for poor populations, introduced a research and advocacy framework to support community organizing, and shared effective strategies to improve social accountability approaches. These resources provide tools and insights that can equip citizens and civil society with politically informed approaches to achieve better development outcomes and facilitate positive change. 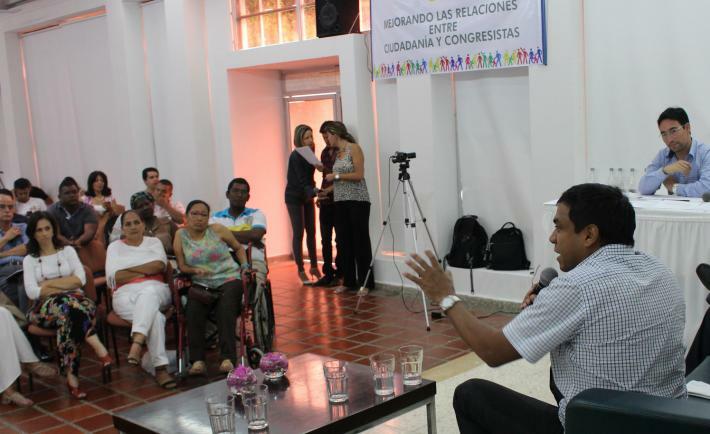 Citizens and congressmen meet in the department of Bolivar, Colombia to discuss issues and improving relations. 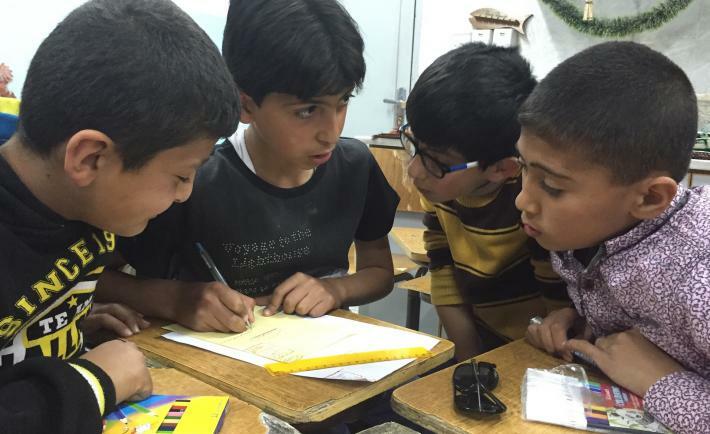 Each week NDI’s Citizen Participation team provides a resource to assist NDI staff in meeting the objectives of their programs. This past month's resources described the need for integrative strategies for citizen-led accountability, outlined an assessment framework to identify government accountability gaps, introduced a learning and advocacy framework for disability-inclusive development, and convened resources on cross-sectoral and evidence-based approaches to positive youth development. These resources provide tools and insights that can help citizens and civil society strengthen their ability to increase government accountability and bring about inclusive developmental change.